(Newser) – Uber and Lyft have made good on their threat to terminate operations in Austin as of Monday morning after a referendum didn't go their way. The companies spent more than $8 million—more than 50 times what their opponents spent—in a failed attempt to overturn the Texas city's requirement for fingerprint-based background checks, reports Reuters. Despite blanketing the area with ads, the companies lost Saturday's vote on Proposition 1 by 56% to 44%, reports Engadget, which notes that the companies were also fighting to be able to pick up passengers in traffic lanes. Mayor Steve Adler says he wants Uber and Lyft to stay in Austin, but the companies say they are "disappointed" and they need to "take a stand." 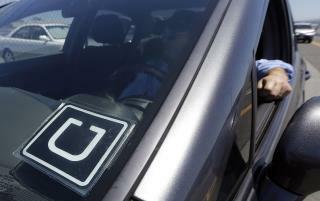 Uber says the withdrawal will leave around 10,000 people out of work. I have a bigger issue with a company saying "TRUST US" then I allow my daughter into a vehicle with a convicted fckn felon. JUST AN EXAMPLE (had it of happened I would have made the news). I had to be fingerprinted in my job, so what's the big deal? If you have no intention of doing criminal acts, it shouldn't matter. It's hardly the same invasion of privacy as having to pee in a cup periodically. Will America's entire economy be based on phone apps some day soon? Will everyone in America (except the App Owners) be working for $15.00 an hour someday? Will Obama show favoritism toward America when he becomes Secretary of the UN?